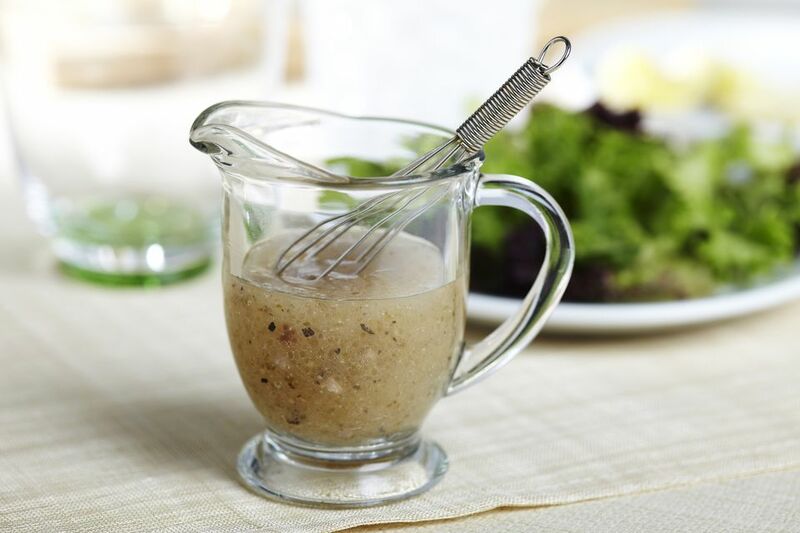 A dash of Herbes de Provence gives this classic white wine vinaigrette a sensory-tingling lift. Drizzle it over a plate of baby field greens as an accompaniment to roasted chicken and vegetables for an easy, elegant dinner. Place all ingredients in a jar and shake until the dressing is well blended. Alternately, you can vigorously whisk the ingredients in a small bowl until they are completed incorporated together.